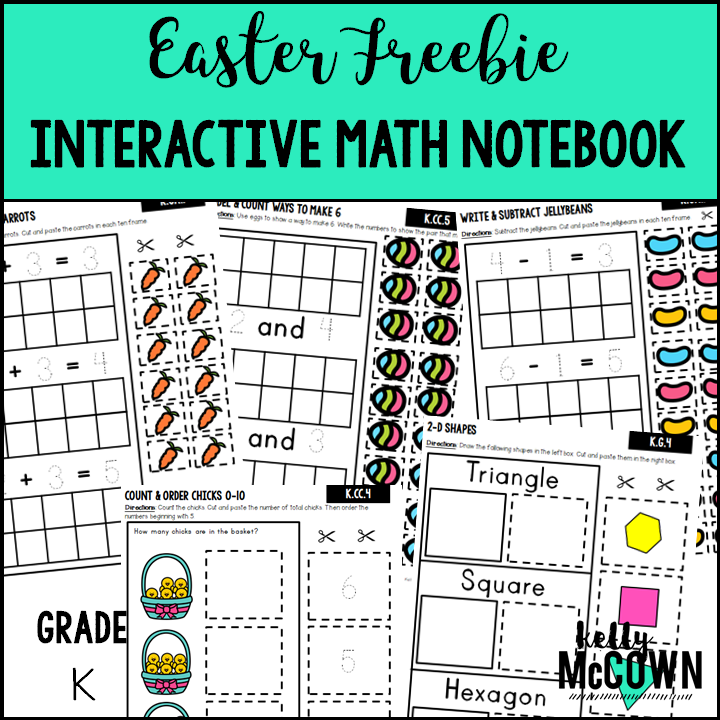 Do you want interactive math activities for Easter? 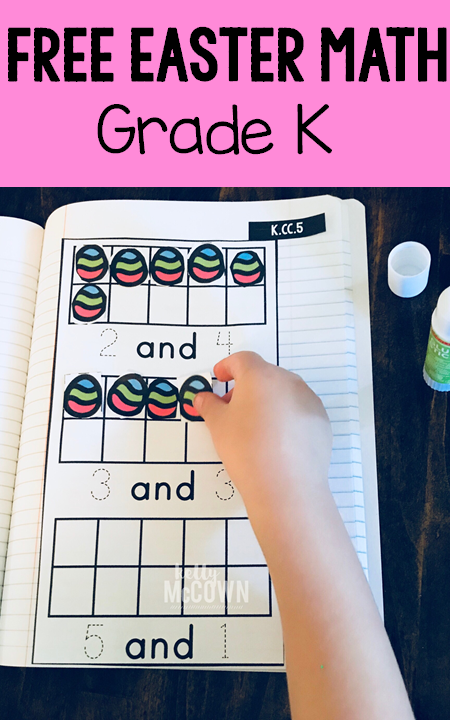 Do you want to review important math skills with your students? 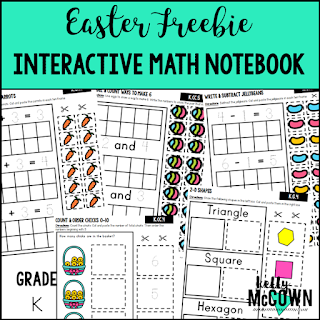 These interactive notebook activities are intended to help students understand how to decompose numbers less than or equal to 10 into pairs in more than one way, write numbers from 0 to 20, understand the relationships between numbers and quantities, count “how many?”, compare two numbers, add & subtract with objects, correctly name shapes, and analyze & compare shapes.